Paul Robert started with a vision to make exceptionally styled and crafted furniture that remained affordable. Since 1983, the company has been doing just that, manufacturing fine furnishings out of two locations in North Carolina, the heart of the furniture manufacturing industry. Paul Robert furniture is enjoyed around the world, combining fine craftsmanship with affordability and quality with comfort and style. 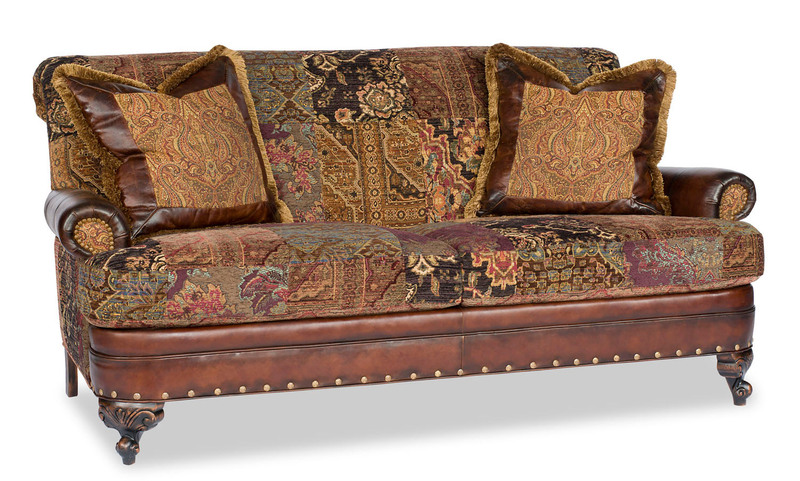 Styles range from classic English to French Provincial and from modern American to pieces reminiscent of the Old West. No matter what your style, there is a Paul Robert piece that will complete your look. Paul Robert’s signature collection, The Home Terrain Collection, features all the comforts of home with classic styling. In this collection you’ll find genuine leather, plush fabrics, solid wood, and detailing to make every piece unique. A wide selection of finishes, colors, and styles is available to match any décor. Visit Right@Home Fine Furniture Outlet for Paul Robert furniture right here in Florida! Our 16,000 square foot showroom is full of the latest in home furnishing with new arrivals every week. We are located at 520 W. SR 436, Altamonte Springs, FL and are open every day of the week for your shopping convenience.